Pursehouse Rural distributes all forms of seed including; sorghum, sunflower, corn, cotton, wheat, barley, oats, pulse and legume seeds, pasture as well as vegetable seeds. 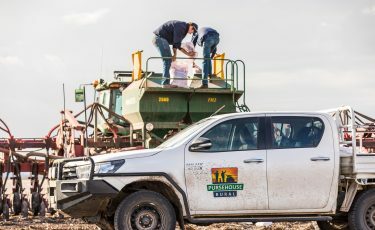 Since quality seed is the basis of a quality crop, Pursehouse Rural maintains close relationships with the major Australian suppliers, which guarantees the availability of top quality seed varieties all year round. Pursehouse Rural is actively involved in setting up crop variety trials with major seed companies as well as conducting our own independent evaluations of new crop varieties. Pursehouse Rural is also a licensed Technology Service Provider (TSP) for the major suppliers of genetically modified seed products in Australia. The administration of seed in this category is designed to maximize the safe, sustainable and accurate use of the genetically modified crops such as cotton and canola.